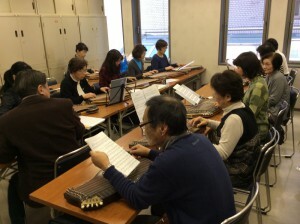 I am very pleased to report you about our zither meetings in Kobe on January 24th, Saturday and 25th, Surthday, 20215. 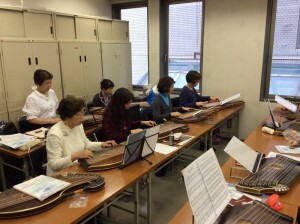 On Saturday, we got together at Yuuki Culture Center, Kobe with twenty-two zither friends in total. You may remember the place, since we got your zither lessons at the same Center which is near our Hotel Takezono. At that time, we played some pieces of music for ensemble, and zither solo as well. 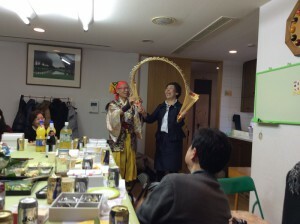 On the evening oｆ the same day, we moved to Mr. and Mrs. Igarashi’s house. Then we enjoyed drinking, talking and zither playing. 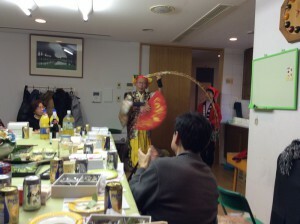 In addition, a special guest performed Japnese old traditional dance (Daidougei = Street performance) with his wife, who is one of zither students of Mitsuko. 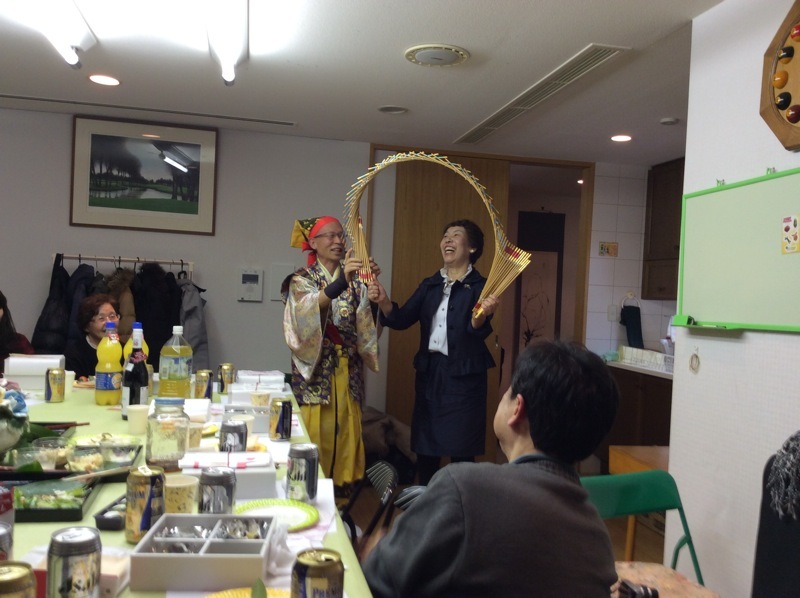 Mitsuko and Uchi played their zither duo of Hirten Musik and Edelweiss. On next Sunday, Shunppa and Uchi visited Mitsuko’s house to study some technical matters on our zithers. Shunppa played “der dritte mann” with his very nice sounds. We talked about the new music note of Melodienstrauss. We will start to play this new music as soon as possible.